BOGO Three-Month Xbox Live Gold Cards | $15 | Amazon | Purchase one card, and you should get a second card in your email later. 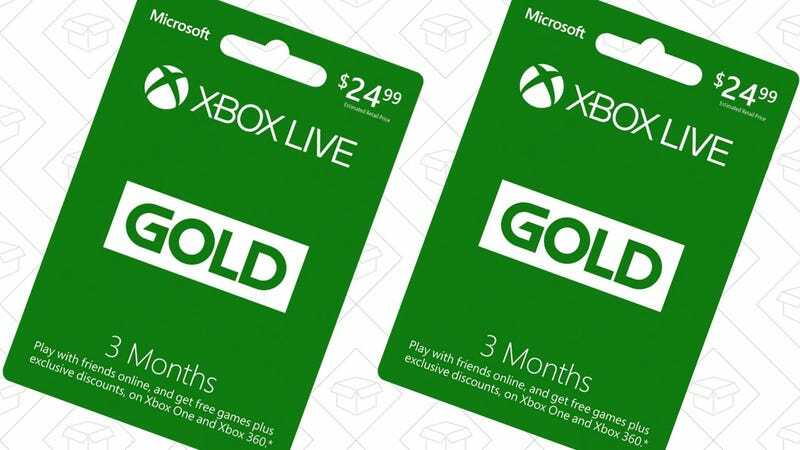 Not only is Amazon currently discounting three month Xbox Live Gold cards to $15 from their usual $25, they’re also offering a BOGO promotion, meaning you’ll get six months for just $15, one of the best deals we’ve ever seen. Details about the BOGO are scant beyond a banner on the product page (pictured below), but I just bought this myself, and will update the post with details of how I received the second code. Note: Only order one, don’t actually put two in your cart. I believe they’ll send a second code by email within a few days of your purchase.